Our rustic brown brick backdrop is a perfect background for any of your photography needs. The great thing about this item is that it can also double as a fun floordrop. Getting multiple uses is a cost saving method for you! 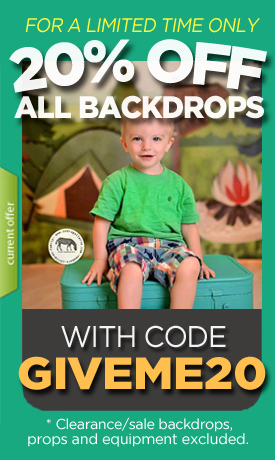 I have been a professional photographer for around 5 years and shop around for backdrops. I am VERY impressed with the quality of these and will be back to shop again!